Many of the people in the villages around the Amazon have never heard the message that God has given to Adventists to preach. Part of our Thirteenth Sabbath Offering will help to build a floating church boat that missionaries will use to visit the people who live along the Amazon and teach them about Jesus. The Mission Spotlight DVD features more stories from the Amazonas region. Ask the Sabbath School superintendent for it, or download it at www.Adventistmission.org/DVD. Heitor [HAY-tor] lives in Belen, Brazil. His parents argued a lot, and his mother was often sad. One day she decided to ask their neighbors why they seemed so happy. “We are Seventh-day Adventists,” they told her. They offered to study the Bible with Heitor’s mom, but she said no. She didn’t understand that to have peace you have to know God. However, Heitor’s mother eventually invited the neighbors to study the Bible with her. She invited Heitor to join them, but he wanted to play with his friends. As Heitor was playing soccer, he suddenly heard a voice say, “Join your mother’s Bible study.” He looked around but saw no one nearby. He heard the voice again. “Join the Bible study.” Heitor stopped playing and called to his friends, “I’ve got to go.” He walked toward his yard, where his neighbors and mother were studying. Heitor listened as the adults talked about how the Holy Spirit speaks to a person’s heart. That’s what just happened to me! he thought. After that Heitor never missed a Bible study. A few months later he and his mother were baptized. Heitor’s dad was unhappy that Heitor and his mother had decided to become Adventists. “I don’t like this religion!” he said. When Mother refused to stop attending church, Heitor’s father told her to leave the house. Heitor and his mother stayed with Heitor’s grandmother for a while. When they returned home, Father tried to get them to leave their new faith. When they still refused, he left them. Heitor had a dream that changed his life. He saw a stairway leading to heaven. An angel called the names of people and invited them to climb the steps to heaven. Heitor looked around for his father and saw him in a bar, drinking. Heitor ran to his father and urged him, “Let’s go, Dad!” But his father told him he’d come later. Heitor awoke and realized that he couldn’t wait for someone else to reach his father; he had to do something himself. Heitor seldom gets to see his dad, but every day during worship he prays for him. 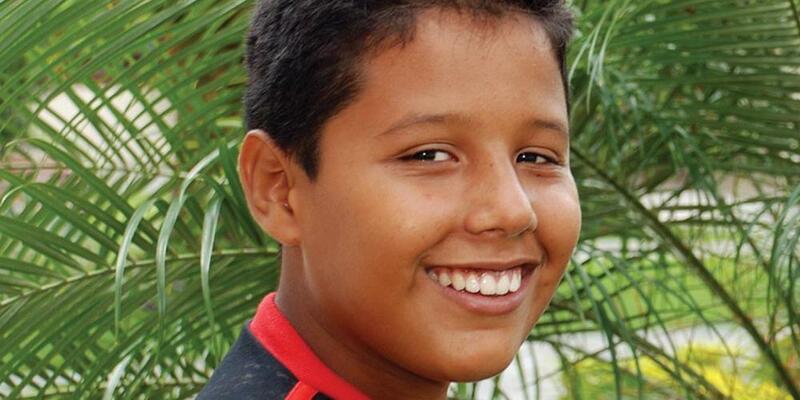 Heitor also talks to his friends at school about their faith and urges them to pray. He leads a small group of students, mostly non-Adventists, in Bible studies. As many as 17 kids attend his meetings. So far, four members of Heitor’s group have been baptized. Heitor also helps other Adventist students start their own small groups among their friends.